Aren't they scarey?! 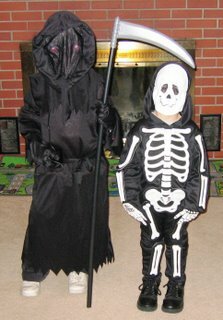 Kyle the Ghoul on the left and Ethan the skeleton on the right. Just in case you couldn't already tell!!! !